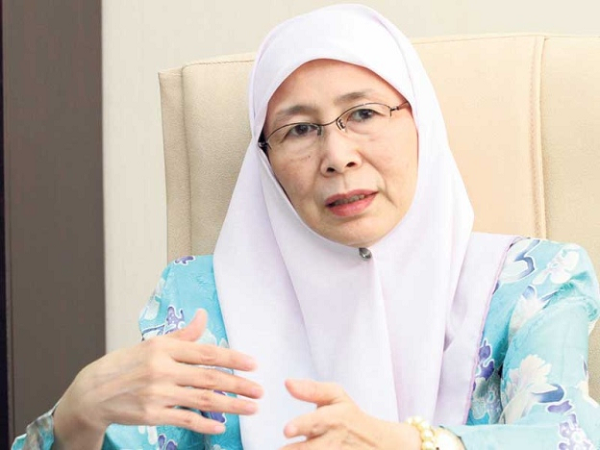 Azizah says never approved speech delivered at launch | Daily Express Online, Sabah, Malaysia. The Office of the Deputy Prime Minister said today that Datuk Seri Dr Wan Azizah Wan Ismail had never approved the text of the speech that was delivered at the launch of the Enhanced Malaysia International Internet Gateway (EM-IIG) High-Speed Broadband project in Shah Alam Tuesday. It said in a statement that Dr Wan Azizah had also not delegated anyone to read out the text of the speech at the event. It also said that Dr Wan Azizah had never at all said that the government would extend its full cooperation to the implementation of the EM-IIG project. “News reports quoting the Deputy Prime Minister in relation to the EM-IIG project developed by XiddiG Cellular Communications Sdn Bhd are not true,” it said. The Office of the Deputy Prime Minister also warned all organisations against using or distributing the content of the text of the speech in the name of the Deputy Prime Minister without permission. “Using the name of the Deputy Prime Minister without her permission is a serious matter,” it said, adding that stern action would be taken if such a situation recurred. According to media reports, the text of the speech of the deputy prime minister was read out by the Deputy Speaker of the Dewan Rakyat, Datuk Mohd Rashid Hasnon, at the launch of the EM-IIG project at a hotel in Shah Alam. The reports said the RM5.45-billion project encompassed the installation of the world’s largest optical fibre involving a 110,000-km line that would enable Malaysia to have the fastest internet access speed with the 5G platform in South-east Asia by 2022. Meanwhile, Mohd Rashid, in a statement, strongly denied that he had represented Dr Wan Azizah at the event. “Any statement saying that I represented the deputy prime minister is intended to mislead,” he said, clarifying that he was present there at the invitation of the organisers of the event in his capacity as the former deputy chief minister of Penang. The Batu Pahat MP explained that he had come to listen to the opening speech by the Deputy Prime Minister and was not scheduled to give a speech or officiate at the function. “After the event began, I was informed by the organisers that the deputy prime minister was unable to attend due to unavoidable circumstances and I was asked to deliver a speech. I was handed a text of speech by the organisers as a guide,” he said. Mohd Rashid asked the organisers to immediately set the record straight and clear his name.